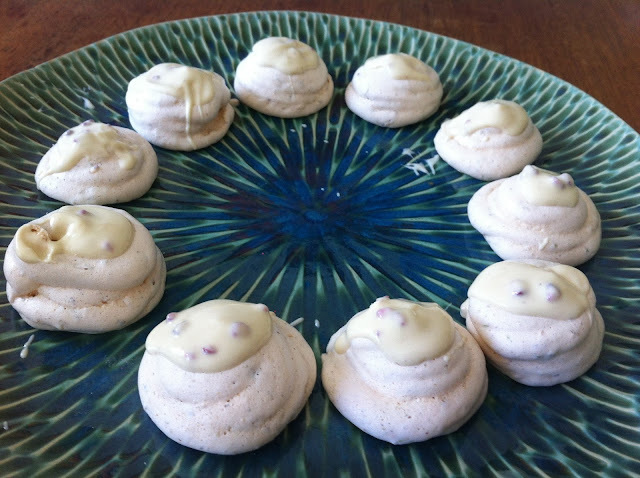 100g white chocolate with freeze dried raspberry pieces(I couldn't find so used white choc and mixed in bought freeze dried raspberries from Sainsburys (in a small tube in baking section)but you can also buy online. 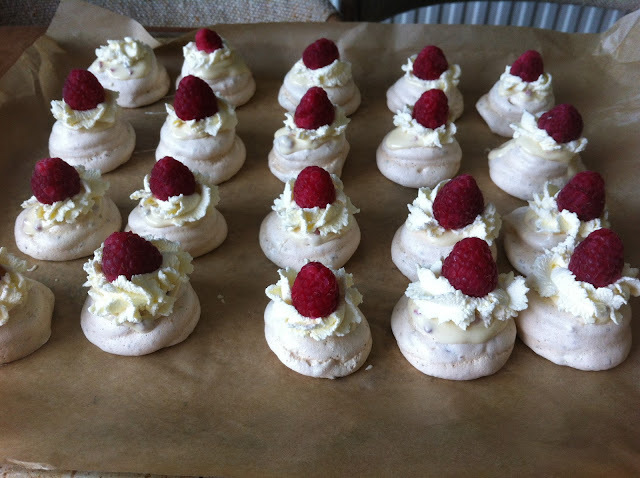 you will need:baking tray lined with baking parchment, a couple of piping bags -one fitted with a small plain round nozzle and with a star tip. 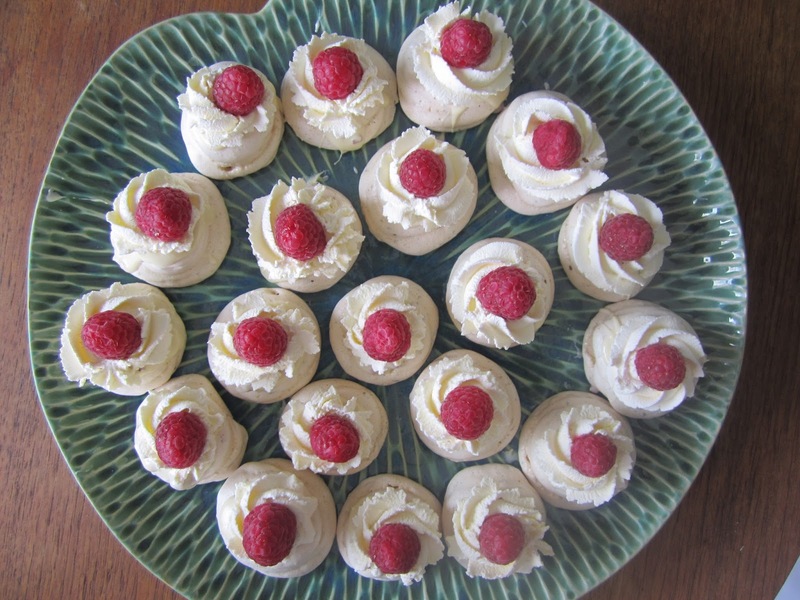 whisk egg white in clean bowl to soft peaks, add lemon juice. Gradually fold in sugar,then add nuts by folding in using a large metal spoon. 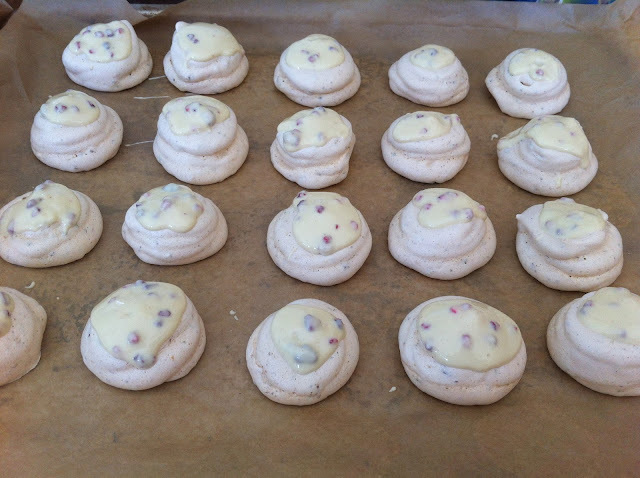 spoon into piping bag, and pipe little nests on to the prepared baking tray, about 3 cm wide and 3 cm high. 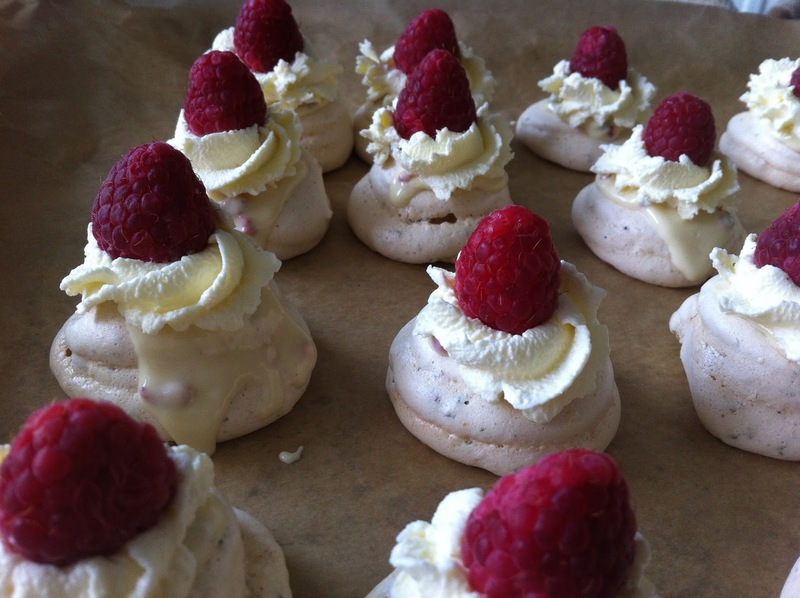 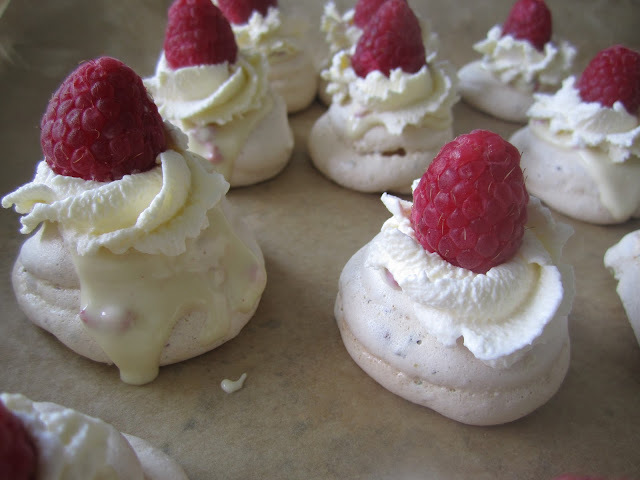 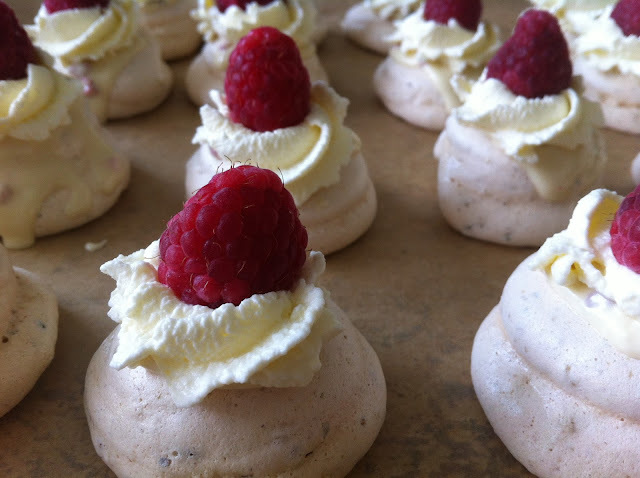 top each meringue with raspberry and mint leaf.